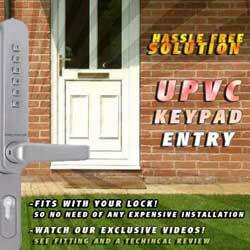 These days, multipoint locking is taking precedence over the traditional single-point locking of deadlocks and sashlocks, moving into the wooden, composite and even metal door market and not just on uPVC doors like it has been in the past. Historically, multipoint locks were designed for uPVC doors because quite simply, these plastic doors did not have the strength to rely on a single point of locking, and if you did just have a single locking point on a plastic door, then it would be possible for a burglar to bend / twist the door enough to facilitate their entry into the property. So the solution was to create multiple locking points at the top and bottom of the door, rather than just in the centre, emulating the well known security benefits of having separate deadlocks fitted at the top and bottom of wooden doors back in the days of having the old traditional Yale lock on your front door. Similarly, you now get multipoint locks for windows, again originally designed around uPVC windows but now being installed widely due to their increased security over the old cockspur style window handles which could be easily manipulated in some cases. 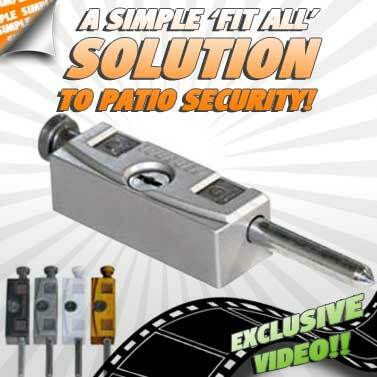 As time has moved on, more investment of time and money has gone into these multipoint locking solutions, and they have evolved over the years to become the convenient and secure locking solutions that they are today. Advancements have been made with these types of locks to now include automatic-locking multipoint locks, which automatically lock when the door is closed, meaning there's no need to lift the handle to engage all of the locking points. Additionally, you can also now get motorised electric multipoint locks, which allow you to use digital keypads, card readers, remote controls and any other medium you can think of to control the locking of your doors. We also have a range of additional hardware for doors which use these types of locks, and also sell replacement mechanisms (gearboxes) for many multipoint locks, as this is the part which takes all the strain and is most likely to wear down over years of use. The Locksonline EPS Cylinders are incredibly versatile and high security, and with it's patented key you can be assured no one can get a key cut without your authorisation.Please note that these are hand-built to order so may take extra time to build. Please be aware that these are custom built to your specifications, and as such we are unabl..